We’re supporting Phyllis Tuckwell with our charity gourmet event! On Sunday 24th of May, from 7pm to 9.30pm we will be serving you with a papadam, starter, main, side, rice and nan for just £25. 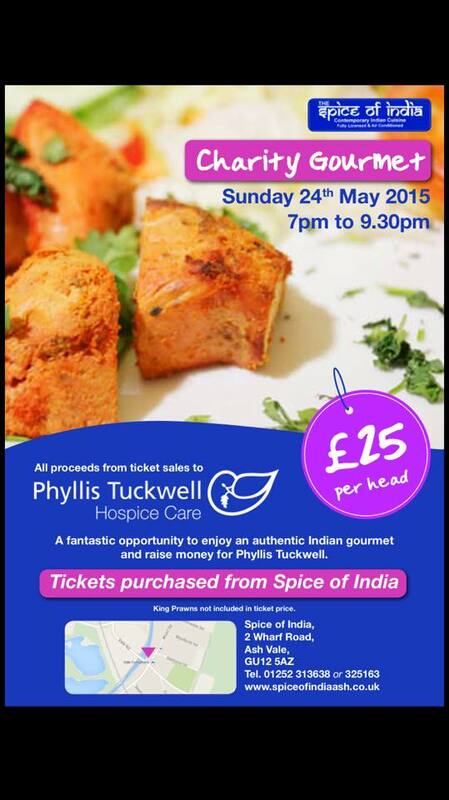 The proceeds of the event will be donated to Phyllis Tuckwell, a fantastic cause. Give us a call or fill out our form.